Janea and Haleigh left for Colorado yesterday. 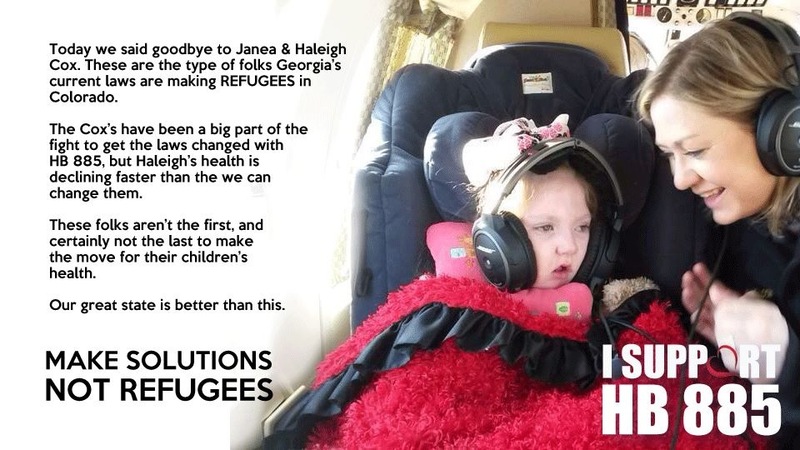 Haleigh is the little girl for whom HB885 is named Haleigh’s Hope Act. The awesome Rep. Allen Peake met her and immediately began his crash course into the world of medical cannabis and CBD oil, pushing this Georgia bill with everything in him. But Haleigh’s declining health means she can’t wait. Marijuana News And Articles Of Interest © 2019. All Rights Reserved.